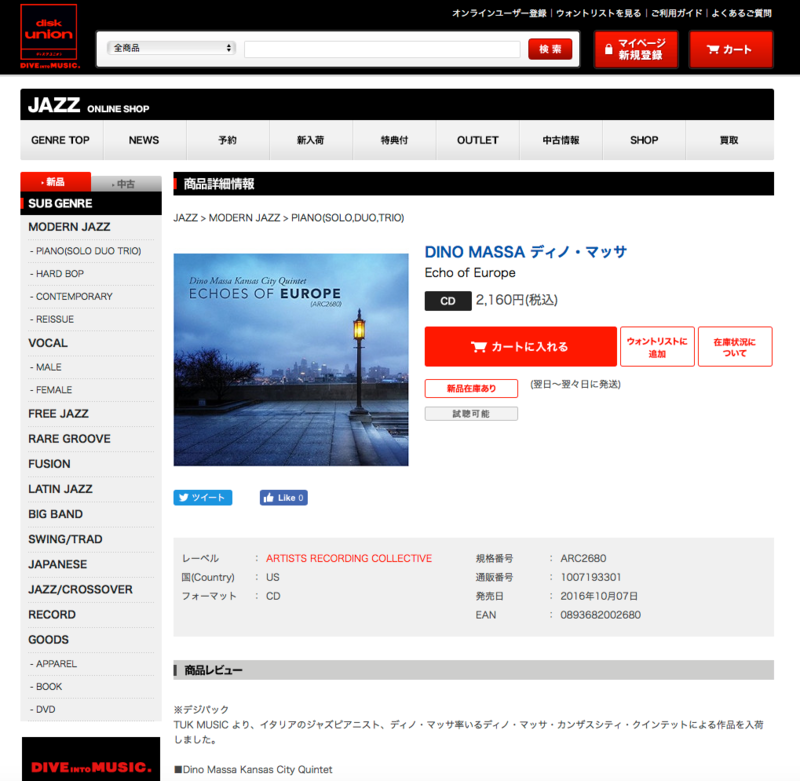 “Echoes of Europe” (ARC-2680) has now been released in Japan at DiskUnion Stores. This is ahead of the January 2, 2017 USA and worldwide release date at Amazon, where pre-order sales are available. Purchase at DiskUnion online – HERE!